Batman vs. Superman has got to be one of the most anticipated movies of 2015. The sequel to Man of Steel features Henry Cavill as Superman and Ben Affleck as Batman. We've got a first look at some of the images from the film. Click through and check out our Batman vs. Superman photos. 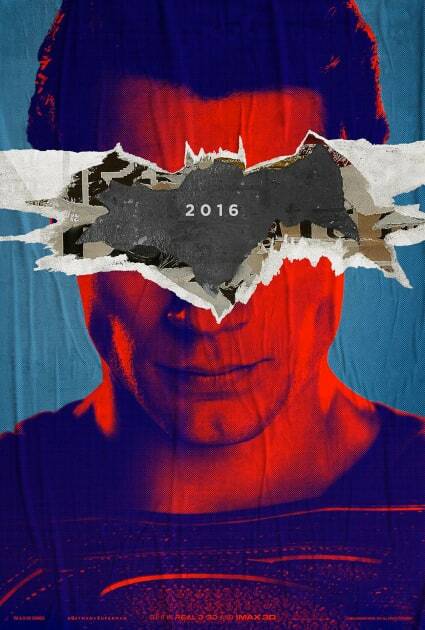 Batman has defaced Superman's poster! 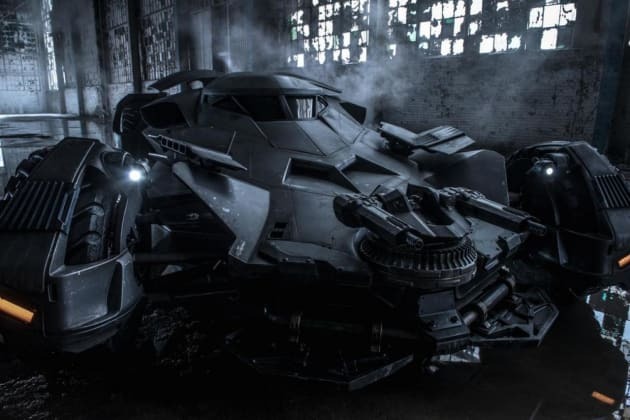 Check out the first "true" look at Ben Affleck's Batmobile! 4. 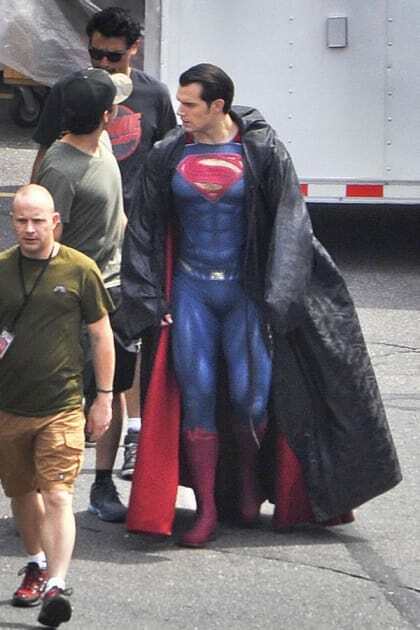 Henry Cavill as Superman on the Set! Henry Cavill gives us our first look at him on the set of Batman v Superman: Dawn of Justice. 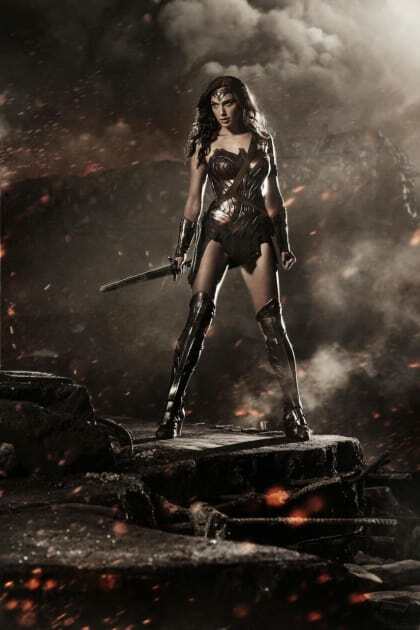 Gal Gadot strikes a pose as Wonder Woman. What do you think of the look? 6. Ben Affleck is Batman! Ben Affleck looks quite the Batman in a new photo from Batman v. Superman: Dawn of Justice. 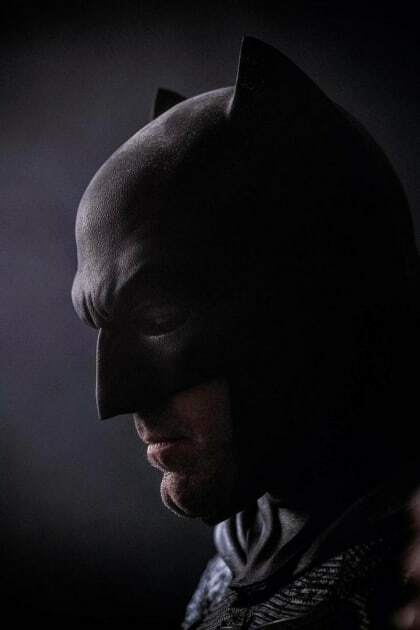 Batman vs. Superman: First Look at Ben Affleck in Batman Suit! Man of Steel Sequel: Official Title Revealed! Batman v. Superman Dawn of Justice: Lex Luthor Will Have Hair! 1st Look at Henry Cavill in Clark Kent Mode! 1st Superman Photo from Batman v. Superman! New Pic of Ben Affleck as Batman! Batman v. Superman: Dawn of Justice Surprises Comic-Con! Is The Flash in Batman v Superman: Dawn of Justice? Batman v Superman Dawn of Justice Photo: Henry Cavill As Superman on Set! WB & DC Register Superhero URLs: Which Movies? Batman v Superman Dawn of Justice: Check Out the Batmobile! Warner Bros. DC Comics Slate Revealed: Aquaman Movie Coming Soon! Batman v Superman Dawn of Justice: Is Jena Malone Playing Robin? Aquaman: Jason Momoa Breaks His Silence! Batman v Superman Dawn of Justice Trailer Is Ready: When Can We See It? Wonder Woman: Michelle MacLaren to Direct! Batman v Superman: Dawn of Justice Wraps Filming! Batman v Superman Trailer Will Debut Sooner Than You Think! Batman v Superman Dawn of Justice Crew Gift Says a Lot! Will Ben Affleck’s Batman be in Suicide Squad? Can You Imagine Jude Law as Superman? It Could Have Happened! Batman v Superman Dawn of Justice Trailer Premieres This Week! 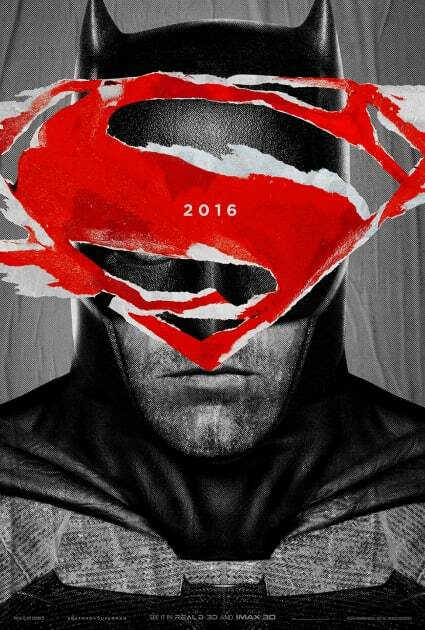 Batman v Superman Dawn of Justice First Posters Revealed! Watch and See If Man of Steel Was Colorized!